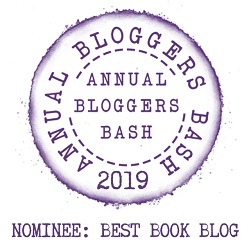 Today on the blog we welcome author N. Lombardi Jr with a spotlight and and three excerpts from his new book, ‘Justice Gone‘ which is released today, 22nd February 2019. This post contains affiliate links. 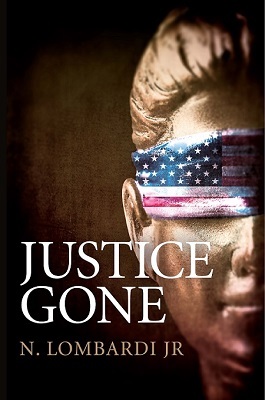 Justice Gone, a mystery/legal thriller which publishes February 22, 2019, touches upon many topical, controversial issues in today’s society as well as being a thrilling and engaging read. The story encapsulates current social issues: police brutality, homelessness, the plight of returning war veterans, the frenzy of the press, and the mechanics of the US judicial system. “When a homeless war veteran is beaten to death by the police, stormy protests ensue, engulfing a small New Jersey town. Soon after, three cops are gunned down. A multi-state manhunt is underway for a cop killer on the loose. And Dr. Tessa Thorpe, a veteran’s counselor, is caught up in the chase. Bruntfield, New Jersey, just another banal town in a part of the country that nobody thinks about, was about to become famous; or rather, more aptly put, infamous. People sauntered past lackluster shops unaware that in a few days, the lackadaisical streets would bear the rabid frustrations that divided the nation; a pus-like bitterness that was held in check by the demands of everyday survival and the distractions offered by obsessive consumerism and brazen medi Some would inevitably blame the cascade of events on the a. weather, since the origins could be found on a hot summer day in 2006. Sure, just about all summer days are hot, but this one was close to the record, and humid to boot. By the end of July, the Northeast coast was suffering under a sweltering heat wave. Despite the humidity, no one could remember the last time it had rained. A hundred-year drought was predicted, they’d said. Bruntfield, among the many places under this curse, had its water supply so severely depressed that the city authorities were forced to impose water rationing. As if that wasn’t enough, the excessive load on air conditioners led to incessant brownouts. With the weather nothing less than insufferable, suffocating, oppressive, even provoking, tempers flared along with the temperature. But the local situation, as bad as it was, was about to get worse. Tessa had given much thought as to how she should dress for the occasion. Her first instinct was her Karen Kane pants suit, but dismissed that idea to wear her copper-brown print kaftan in its stead. Now, with its folds caught in the vigorous September breeze, giving the illusion of a multitude of miniature flags fluttering around her, her thick locks of hair dancing around her head, she spoke to the crowd, slowly, deliberately taking her time. “Hello, my fellow citizens.” She stopped to survey the mass of people standing in front of her. Dramatic pauses replete with eye contact, if not overdone, were quite effective in getting one’s message across. Not surprisingly, Tessa knew how to get her message across, a special art in the realm of behavioral scientists. Public relations firms, advertising companies, political campaigns, all hired an army of psychologists to sell a product. And Tessa Thorpe, as someone who had thirty years’ experience as a criminal psychiatrist, could sell as well as any of them. This elicited a roar from the crowd. “Didn’t we meet last year at the meeting of the New Jersey Bar Association?” Bodine asked, as his daughter collected their papers and put them in their briefcase. His latest novel, Justice Gone was inspired by the fatal beating of a homeless man by police. Nick now lives in Phnom Penh, Cambodia. Sounds like quite a relevent read. Thanks for sharing. Great, I hope you let me know. This is giving me John Grisham vibes, sounds interesting! Plus, I am from NJ and hardly ever see books set in my hood. I enjoyed those excerpts. Think I might pick this one up. Brilliant, glad you liked them and I hope you enjoy the book. Hm, this might spread my interests from Science Fiction and Fantasy to something else. Brilliant. I hope you get to read it. Really nice job spotlighting this book!